Malacca is known for its wonderful selection of famous local food such as Satay Celup and Durian Cendol. Malaysians just love heading to Malacca for those delicacies right? 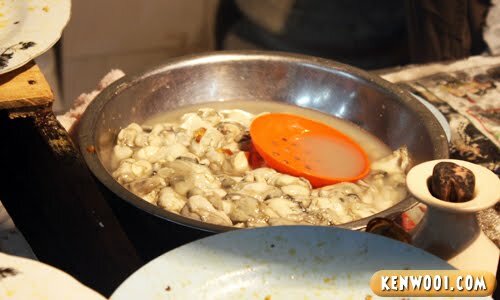 But hey, apparently Malacca has a famous fried oyster stall and I managed to try it out during my recent Malacca trip. 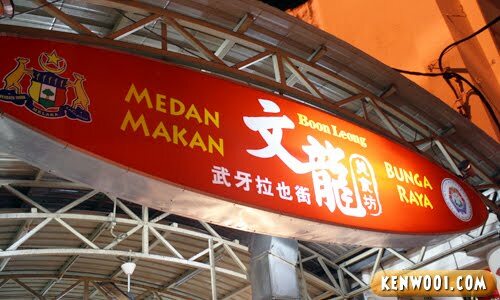 Located in the “Medan Makan Boon Leong” food court along Jalan Bunga Raya, this Oh Chien (fried oyster in Hokkien) business is practically a one-man-show business. Priced at RM6 a serving, famous food doesn’t come cheap anymore huh? Hmm… I wonder what’s the number behind the “6”. Could be RM2 back in those days huh? 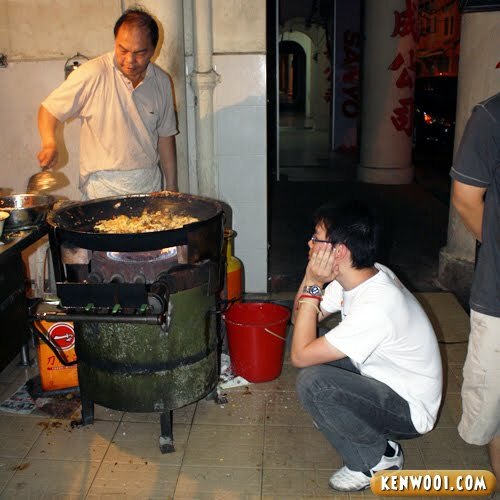 Throughout the whole time, he was totally engrossed and focused in cooking the fried oysters. There were no distractions and he didn’t even talk to anyone. 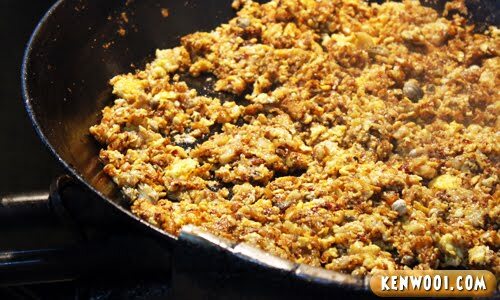 Simply equipped with a big skillet and the necessary ingredients, each round of cooking can only prepare 6 servings of fried oysters. It takes about 10 minutes for each batch. 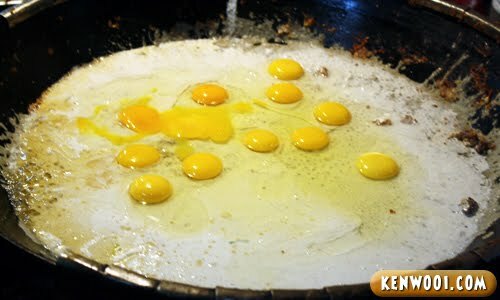 Firstly, about 12 eggs are poured into the skillet with oil. 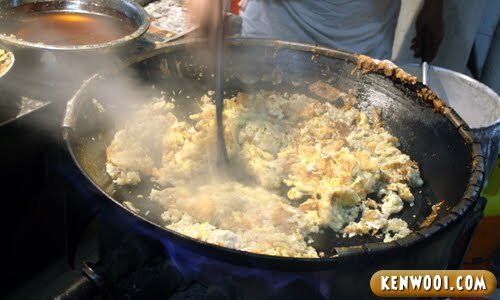 Oh yeah, it’s called “fried oyster omelette” too – due to the amount of eggs. 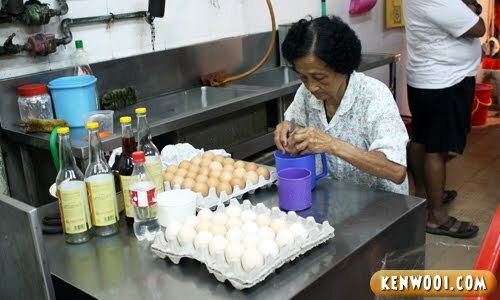 The eggs are prepared by an elderly lady, perhaps the mother or a relative – I’m not really sure. She sits on a separate table just beside the stall. This assistant aunty would crack a fixed number of eggs into small individual containers and then pass them to Mr. Oh Chien. Similarly, she’s very much engrossed with her task too. 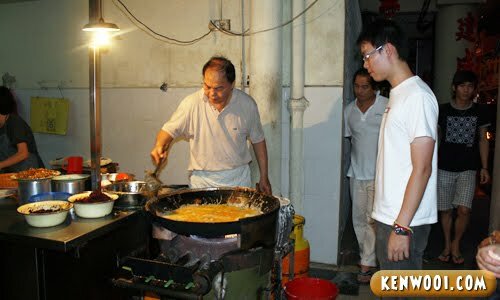 Mr. Oh Chien would then stir it consistently until the eggs turn golden brown. At this point, you would definitely smell the wonderful aroma from the fried eggs. Having nothing else to do, they turned into Mr. Oh Chien’s audience. 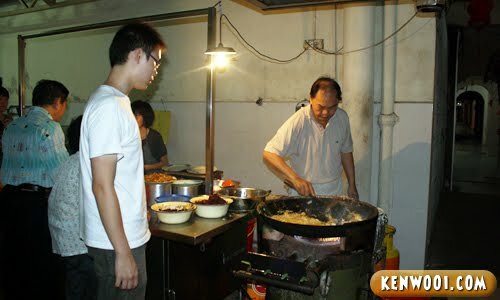 Well actually, it was quite interesting to watch the way the fried oysters are cooked and prepared. 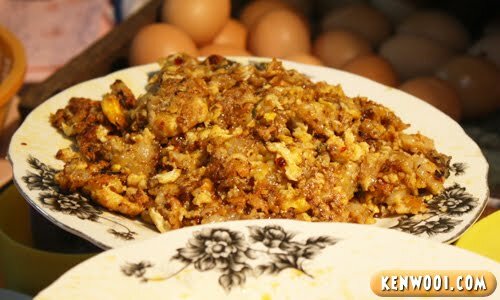 Various ingredients are also added into the skillet, enhancing the flavour and texture of the plain eggs. Minutes before the batch is ready, only a handful of fresh oysters were added into the skillet – definitely not proportional to the amount of eggs. Here’s the end result. It looks more like fried eggs right? So the whole process was repeated continuously as more and more customers dropped by and made their orders. Well, being famous is definitely good for the business. People keep coming and ordering non-stop. 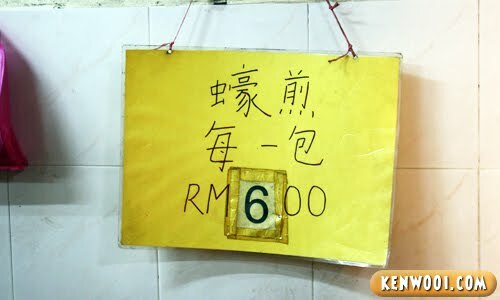 At RM6 per serving, this small business surely earn big. However, a downside of being famous falls on its customers – they had to patiently wait. And since only one person is handling the fried oysters, the production rate is rather limited. So I watch while I waited. Watched for so long, Mr. Oh Chien also no look back at me. And kept waiting like an obedient kid… but my mind was always thinking – Y U NO FASTER?! You know, we did think of giving up and just leave. But the fact that we’ve already waited and it’s apparently the famous Malacca fried oyster made us regain our patience. Anyway, the fried oyster is not bad – but the amount of oysters is definitely limited, just not enough. 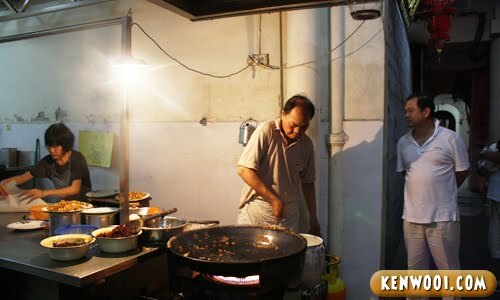 Compared to the ones in Penang, the cooking method and style are different. As for myself, I gotta say that I enjoyed eating it. The eggs are simply delicious, and I don’t actually care much about the oysters – I just love the eggs. Will I go back again for the fried oyster? Yes, maybe. It’s tasty and a unique delicacy, unlike the overrated chicken rice ball. Does it live up to its “famous” title? Yes it is, but Mr. Oh Chien should be more generous with the oysters. 6bucks is considered cheap dy larr..
Omg. U made utterly hungry at this hour. Any landmark near to this place? i went to a stall at the night market there earlier this year and it’s way better than what we have here around klang valley. LOL at the pic of you staring while squatting. Love this place! 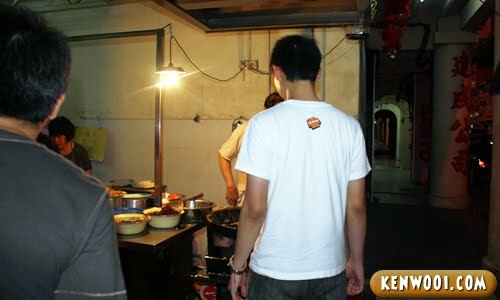 It has one of the better fried oysters in Malaysia though the only complain is they are quite kedekut with the oysters. But if one is in historical Malacca, this is one good place to stop by. hmm. i didnt get to go during my foundation year in malacca! come i bring u to the more sedap one! I went to this place for their rojak also!!!! 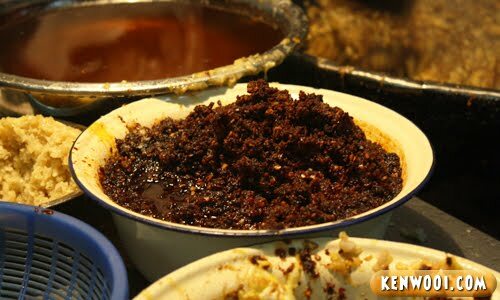 I know this stall.. quite take time to wait hor.. Which day you when there? If weekdays, no so many people, I only waited about 30 minutes or less. Weekend of course lots of people go buy… (Malaccan XD) It was RM 5 b4..
haha.. i wont go back to that stall again la.. coz..
3. oyster? ahaha.. it’s damn small and not even can really try it out..
1hr15min? sounds like the time taken to complete a test. ah, fried oyster!! never phailed to buy it whenever I go back to Malacca. aijor…for the price of RM6, considered cheap. At here, the cheapest we can get also RM10, but dont need to wait that long la…LOL!! I just went to eat the same oh chien 2 months ago! penang oh chien better and oyster bigger too…. Ken Wooi, what time does this oh Cjien stall opens? Hi Sunny, it opens at about 8pm until midnight. Hi do u knw the operating hr fr this stall? Hi Shaann, it opens at about 8pm until midnight. I very like your blog,because your blog hv provide GPS, not like some juzt have photo and talk.